I hope you had a Happy Valentine's Day! This week was much calmer at work but still a bit eventful. I was a para, taught 6th and on Valentine's Day taught 5th. After trying to talk over 30+ kids on sugar at their Valentine's Day party, you tend to lose your voice. My voice has been a bit hoarse the couple of days. On top of that, I also have seemed to have injured my ankle. I did not twist or sprain it, I tripped over a small metal safe at hit my ankle bone. Ouch! The last two days I have been limping a bit. I still went out with my friends tonight to a local dance, only I was not able to do a lot of dancing.. Oh well, it was still a lot of fun! My co-host Kim from Everyday Parties had some new posts this week. 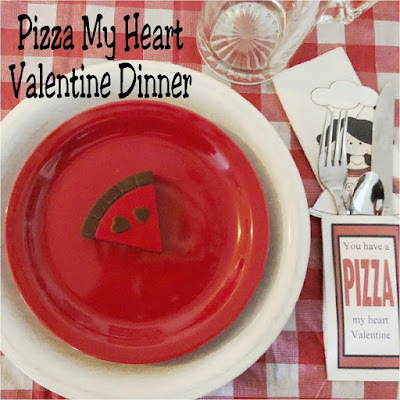 I think my favorite one is of this Valentine's Day Dinner she had with her family. Stop over and check it out. Hope your ankle gets better soon! It doesn't seem to be slowing you down much -- take good care of you! Thanks for hosting and I hope that you have wonderful rest of the week and weekend.